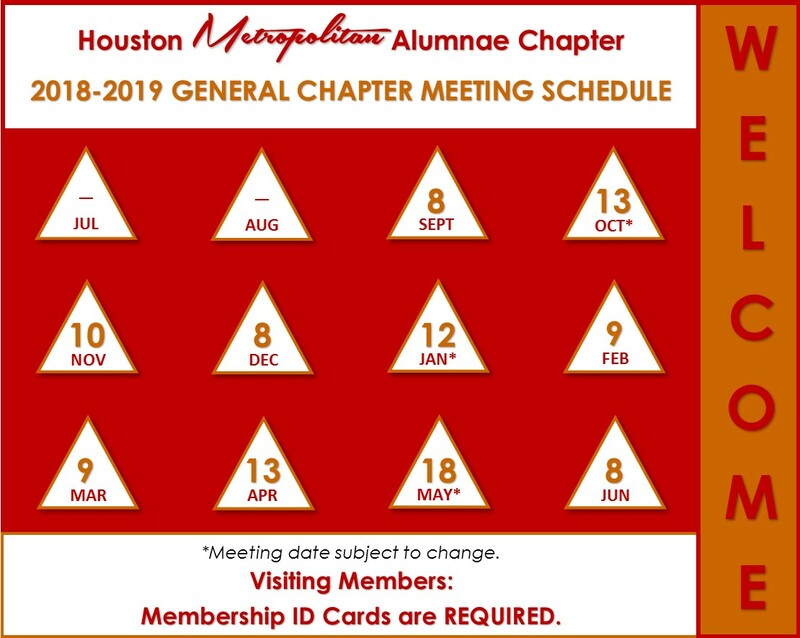 Home - Houston Metropolitan Alumnae Chapter of Delta Sigma Theta Sorority, Inc.
Houston Metropolitan Alumnae Chapter of Delta Sigma Theta Sorority, Inc.
Houston Metropolitan Alumnae Chapter (HMAC) was chartered by Delta Sigma Theta Sorority, Inc. in October of 1974. Since its inception, the Chapter has been actively involved in supporting local agencies, and sponsoring community workshops, a variety of awareness forums, health fairs, and educational opportunities for the members for the Greater Houston community, with specific emphasis on our youth. We hope that you will find our site useful and you will visit often for the latest updates on programs, events, and activities. Please don’t hesitate to Contact Us if you would like more information about our chapter! Click one of the links below to access Delta Sigma Theta Sorority, Inc.'s National Website or the Blazing Southwest Region's website. so click Here or the Apply Now button to learn more! This website is the sole property and responsibility of the Houston Metropolitan Alumnae Chapter of Delta Sigma Theta Sorority, Inc.